A few years ago I wrote about going makeup-free for an entire month. While I still love going out bare-faced, I love makeup just a little too much to do it too often. At the same time though, I can’t imagine working on a “full face” makeup every single day. The “no makeup” makeup is all about fresh skin and enhancing some of your best features. 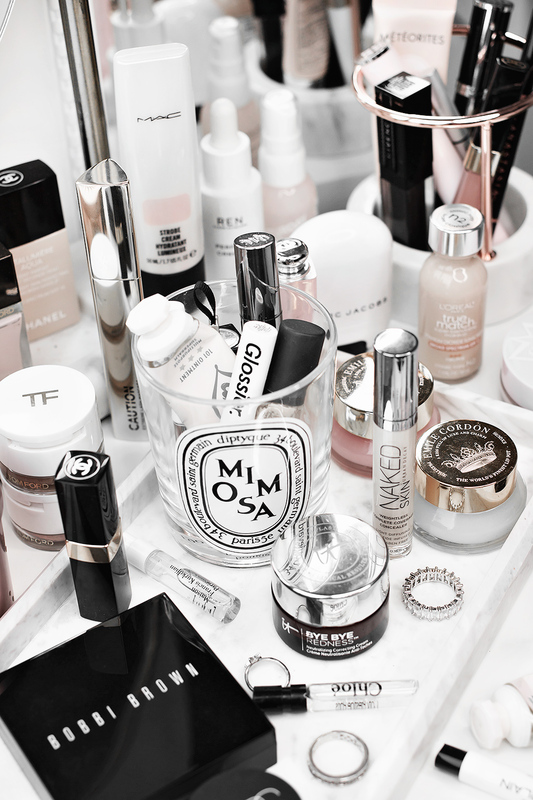 Some of my personal favorite “no makeup” makeup products that I usually reach for, give light coverage, subtle color and must have some light-reflecting qualities. Also: brows. These are a must. 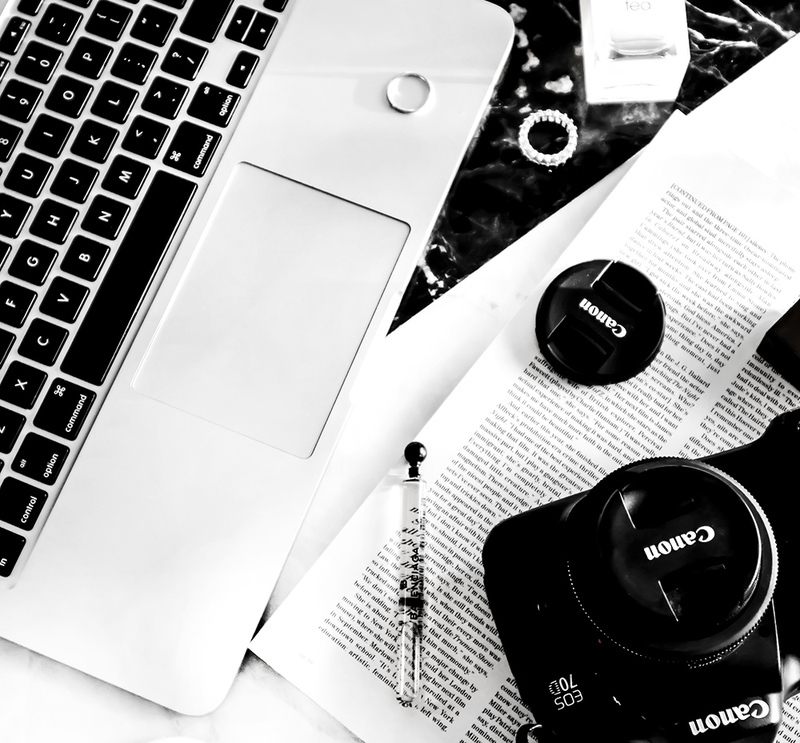 To minimize the need for products like a medium-coverage foundation, I focus on skincare products that help target issues like redness and dryness. 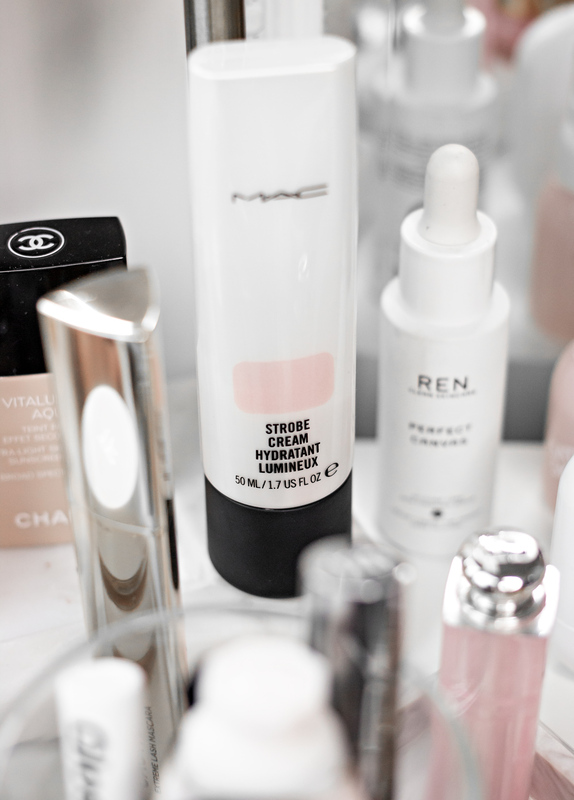 MAC’s Strobe Cream has been my go-to for many years- not only because it helps to illuminate the skin, but it’s also a well-formulated moisturizer (if you can look past the low amount of fragrance) that also helps with dryness. 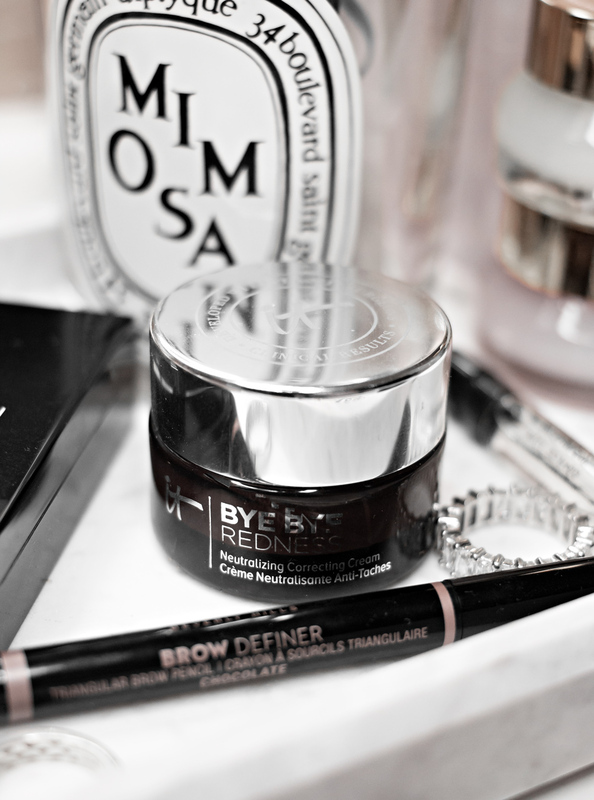 IT Cosmetics Bye Bye Redness Cream also acts as a great base that helps neutralize any redness and again, helps with dryness. Once you have your redness and/or dryness under control, it’s time to go in with some coverage. When my skin is feeling on the oily side, I usually gently apply a very thin layer of a translucent powder before going it with my tinted cream/foundation. Usually, it’s Laura Mercier’s Translucent Loose Setting Powder. 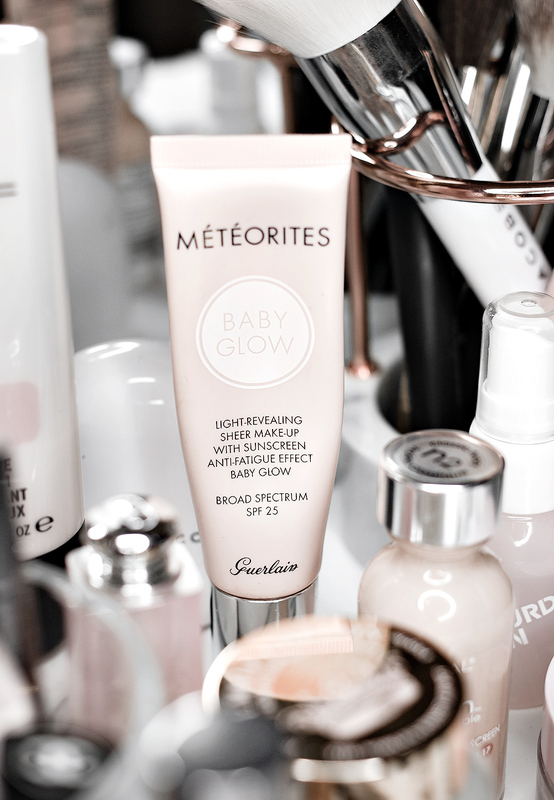 My ideal “no makeup” makeup product, is Guerlain’s Meteorites Baby Glow Foundation. It’s lightweight with light coverage, adds a nice glow and leaves the skin looking flawless, yet natural at the same time. One of my favorite BB Creams- Lioele Triple the Solution gives a lot more coverage, but again, it looks natural and doesn’t have that “I’m wearing foundation” feel to it. I often feel like the under eye area is what gives the most away- you can immediately tell whether or not someone is wearing makeup just by looking at their eyes. This is another place where it’s easy to overdo it and go a little crazy with the concealer. I usually just dab the tiniest amount of concealer just under my eyes and on my lids, later setting it with powder. Urban Decay’s Naked Skin (in Fair Neutral for me) concealer gives luminous, weightless coverage that is perfect for those “no makeup” makeup days. If redness is a big problem, I cannot recommend the Bye Bye Redness Neutralizing Correcting Cream by IT Cosmetics enough. All you need is a drop of this thing, and it’ll be enough to give coverage for your entire face, while also being incredibly lightweight. Seriously, this stuff is magic. You can also mix it with a moisturizer to make your own tinted cream. If you struggle with rosacea or post-acne hyperpigmentation, try to get your hands on a sample. I’m NC 15-ish and use Porcelain Beige. The highlight, I do tend to crazy about, but blush is where I like to keep things subtle- regardless of the look I’m going for. Bobbi Brown’s Shimmer Bricks are amongst my favorite cheek products. One- it’s nearly impossible to overdo it with them; two- they add both a very subtle color and a delicate glow. Beige and Rose are the ones I reach for all the time. Glossier’s Cloud Pain in Dusk is another stunning cheek product for those “no makeup” makeup days. It’s a soft peach that blends really nicely and looks soft and natural. If you’re lucky enough to have full brows, a clear brow gel is all you need (you can also see how I grew out my overly-plucked brows right here). I’ve tried a few clear brow gels and Glossier’s Boy Brow still remains a favorite- both the clear and tinted versions. Most brow gels leave the brows feeling stiff, they flake off and just don’t work too well for creating a delicate, yet defined look. On a rare occasion, I will reach for a brow pencil to fill them in very lightly. IT Cosmetics Brow Power universal pencil and Anastasia Beverly Hills Brow Definer (in Medium Brown) are both amazing, quick and easy to work with. The key is to use a very light hand and follow your brow’s natural shape. When it comes to lips, a true “no makeup” makeup look should call for nothing else but a bit of a tinted lip balm. On those “nearly” makeup-free days I love reaching for something like Dior’s Lip Glow Color Reviver, Lano Lips 101 Ointment (one of the best products for chronically dry lips) or, my beloved and sadly discontinued Dior’s Creme de Rose (seriously, why would they do that to me?!). If mascara is part of your “no makeup” makeup routine, you want to keep it natural with your lashes being defined, without them looking too full or clumpy. Maybelline’s Lash Sensational Mascara does just that. 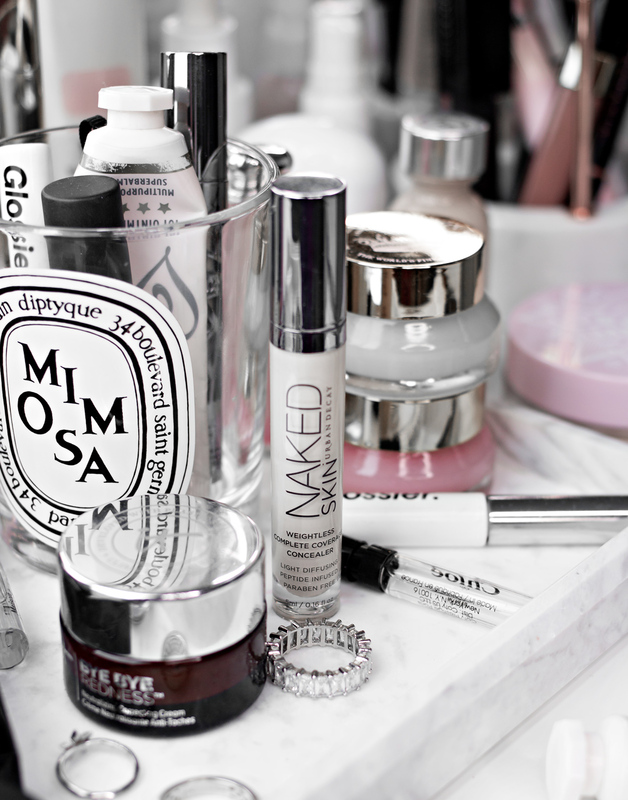 It’s sort of like a “your lashes, but better” mascara. Also, Hourglass Caution Extreme Lash* is probably one of the best mascaras I’ve tried in the recent years. It gives SO much volume and has such a flexible and flake-free formula- there’s nothing not to love about it. Because it gives so much volume though, when going for a more natural look, I just quickly wipe off any excess product before coating my lashes for a more subtle definition. 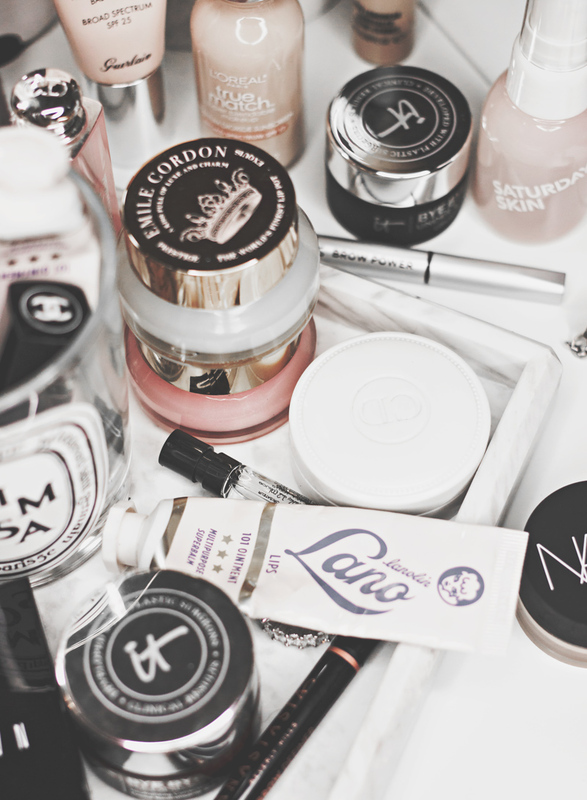 What are some of your favorite “no makeup” makeup products? What do you like to focus on the most when going for minimal makeup looks?